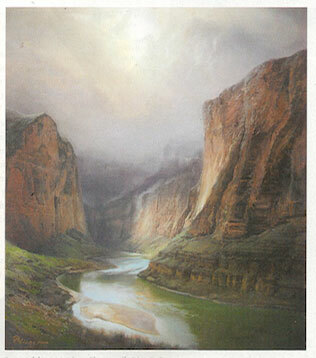 The Grand Canyon Celebration of Art features the most recognizable landscape in the world - the Grand Canyon. Now in its fourth year, this event has become a true "Grand Canyon Experience" focusing on the iconic landscape's drddmatic light and vast scenery as shown the through eyes of talented artists. Peter Nisbet, Harding Classic, oil, 28" x 24"